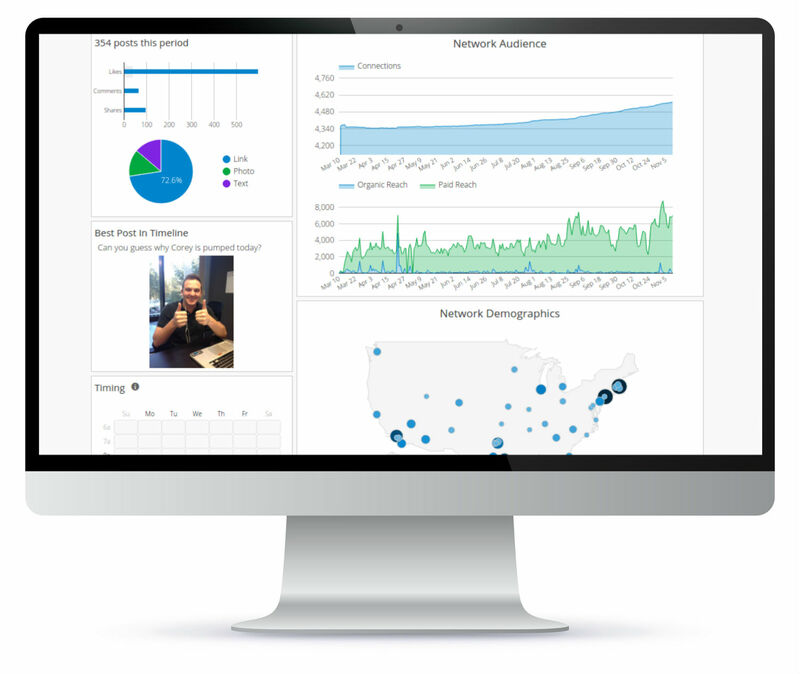 The simplest social marketing dashboard ever. Everything you need to make social media marketing a breeze. 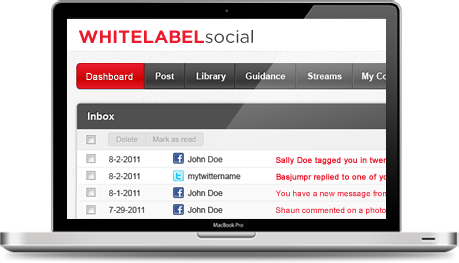 No more logging into multiple accounts – manage as many Facebook, Twitter, Google+ and LinkedIn accounts as you want. Receive and respond to all of your notifications in one place! No time to write social media posts each day? No problem! Create them on your schedule and tell our dashboard when to post them. They’ll automatically go out at your selected date and time. Our (human) editors scour the web every day for interesting news, websites and articles about your industry. Just choose a few that are most interesting to you and your contacts, and with the click of a button they’re scheduled to post. We know social marketing can be confusing – our system will tell you what to do and when to do it to achieve optimal results. Use our insightful statistics and beautiful graphs to help guide your strategy! Find and engage with people who are looking for your type of products or services by setting up searches using keywords on Twitter. Or, conduct reputation searches to see what people are saying about your brand! No more fiddling with endless toggles and clutter. We keep everything clear and simple so you can skip the confusion and increase your productivity. 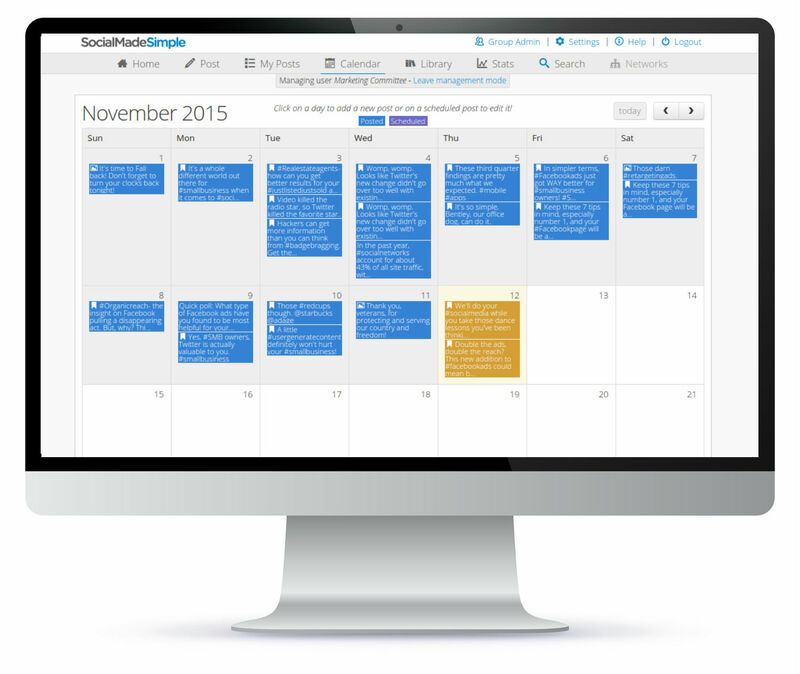 Try out the SocialMadeSimple Dashboard FREE for 30 days! No credit card required. Fill out the form to begin your free trial. No credit card required!